Chincoteague is for lovers of…Learning! You could spend an entire lifetime experiencing the educational side of Chincoteague and Assateague islands, but here’s a long-weekend’s worth of ideas to get you started on your Spring, Summer, or Fall vacation. Friday PM: Leave work early, hit the road, and arrive in Chincoteague before it gets too late. Pick up a bottle of wine from Wine Cheese & More downtown, and then grab some great pizza and boardwalk fries at Famous Pizza & Sub Shop, within walking distance of the Refuge Inn. Once it gets good and dark, around 9 or 10PM depending on the season, ascend the spiral staircase to the newly renovated Observation Deck at the Refuge Inn, pour a few glasses of wine or sparkling cider (glasses available at the Front Desk,) chow down on pizza, and pick out constellations in the sky. 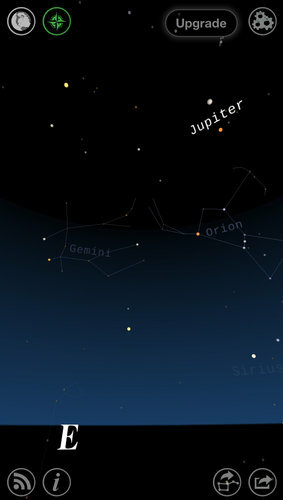 Use a free app on your smartphone if you’re a beginner stargazer, and learn the location, background, and significance of each constellation in the night sky. You won’t believe how many stars are visible on a clear night, away from the lights of the city. It’s breathtaking! Saturday: Get up early, Dress “Chincoteague Style” in old clothes & shoes, and grab breakfast on-the-run at the hotel. Head over to the Marine Science Consortium for a summer family workshop. Depending on your personal interests, choose among Fintastic Fish, Under the Sea, and (our personal favorite) Marsh Mysteries. The workshop runs until lunch time, so grab some fantastic steamed shrimp at Ray’s Shanty before you head back over to Chincoteague for a Back Bay Cruise with Captain Barry. Dig up some clams, learn how to hold a crab without getting pinched, and see Chincoteague “Indiana Jones Style” as the Captain calls it. After the cruise, cool off from a long day in the sun at the Island Creamery, with a fresh waffle cone and hand-made ice cream that will knock your socks off. Experience a practical lesson about potential and kinetic energy at Refuge Golf down the street, and maybe take a spin on the go-karts or bumper boats if you’re feeling up to it. Afterward, it’s back to the hotel for showers and then off to the carnival grounds for Clam & Oyster Fritters, hamburgers, pizza, French fries, caramel corn, bingo, and rides. 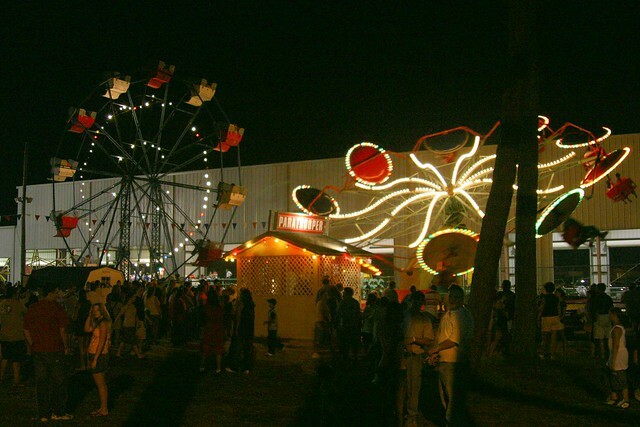 Support the local volunteer Fire Department by playing games, riding the tilt-a-whirl and scrambler, and waiting in line at least once to ride everyone’s favorite ride, the Paratrooper. Learning opportunities are plentiful at the carnival, especially if lines are long. Learning about inertia, centripetal force, and gravity are good topics for ride-lovers, while probability is the name of the game over at the Birthday Wheel. This is also a great opportunity for kids & parents to get some time apart and then call each other “to the flagpole” when kids need more money or when mom & dad are ready to head back to the hotel. Sunday: Have a hearty breakfast at the Refuge (waffles, please!) before heading out to Assateague. Stop at the Herbert Bateman center for some interactive displays about our local ecosystem, migratory birds, and even see a bald eagle’s nest. Then, it’s off to the ocean! You’ve got some options when it comes to enjoying our all-natural beach, including castle building, birdwatching, shell collecting, dolphin watching, or catching up on your reading. We recommend reading Pulitzer prize-winning Misty of Chincoteague with your kids if they haven’t read it yet! Learning about erosion, wave formation, and the water cycle are topics of particular interest while at the beach. Bring your own delicious lunch from Sea Star on Maddox Boulevard so you can spend all day on the beach. At 5pm, look to the southwest for a rocket launch from the Mid-Atlantic Regional Spaceport on nearby Wallops Island. In Summer 2013, some of the rockets launched from Wallops include the LADEE, which will go to the moon to conduct experiments on lunar dust, and the Antares series of ships which will resupply the International Space Station. Have a casual all-you-can-eat dinner of steamed crabs at Steamers, and head back to the Refuge for an evening dip in the half-inside, half-outside pool, plus more star-gazing if it was a hit on Friday! Monday: Sleep in and have a late breakfast at the Refuge. Walk across the street to the Museum of Chincoteague, which includes a number of hands-on exhibits as well as a history of the seafood industry on Chincoteague. See Misty and her foal Stormy, learn about the inner workings of old-school lighthouses, and figure out why Chincoteague Oysters are so special and tasty (hint–it’s all about the water!) Then head downtown for a stop at Sundial Books, an incredible local bookstore. Take a stroll behind the bookstore at the waterfront park, and watch fishing boats come and go in the nearby channel. Walk down the street to eat a family-style lunch at Don’s Seafood before loading up the car to make a trip to the Nasa Wallops Visitor Center, which will be less crowded than it was on launch day. Learn all about planets, astronauts, rockets, and the A0 launch pad–did you know it floods with water during a launch to keep from catching on fire or melting?!? Cool stuff. Stop by the gift shop for some great space souvenirs on your way out. You’ve got two options for the afternoon. Option one is a nature cruise with island native Captain Carlton, where you’ll learn about the island’s history, the legend of the wild ponies, and see a number of types of wildlife. Option two is renting bicycles from the Bike Depot (at the hotel) and seeing the trails of Assateague Island. The wildlife loop, blackduck trail, and Bivalve trail all provide ample learning opportunities. Sunset from the wildlife loop is beautiful. For your last dinner on Chincoteague, walk or bike down the road to The Village, where you can eat with a view of the marsh. (You should try the crab toastie appetizer and the fried seafood platter–yum! Tuesday: Wake up knowing that you’ve scheduled one last learning experience to keep your mind going during the car or plane trip home. Eat some French toast, pack up your bags, and pay one last visit to the ponies in the pasture next door. Whichever direction you’re heading, wave goodbye to heaven-on-earth, Chincoteague Island, as you drive across the Chesapeake Bay and prepare to head back to the banal reality of the rest of the country. Pick up a pint of oysters packed for the road from Susan’s Seafood, and then head north or south on Route 13. For your last lesson, if you’re heading North, stop in historic downtown Pocomoke City at the Delmarva Discovery Center. Located on the banks of a river, the center focuses on river ecology, the history of the Pocomoke River and Delmarva. The exhibits include Native American culture, an aquarium, touch tanks, early trade, the Steamship era, shipbuilding, decoy carving and sailing. Grab lunch down the street at the Riverside Grill. If you’re heading South, make a slight detour to Onancock, where you can get a personal tour of Ker Place, a centuries-old plantation house. See how people lived in the early 1800’s, and learn how to build an old-fashioned wooden log canoe. Have lunch at one of Onancock’s wonderful restaurants in their quaint downtown. Leaving is always bittersweet, but once you hit the highway, whoever isn’t driving should Re-Tweet or share this blog post, and let everyone know that Chincoteague Island, Virginia is for Lovers of Learning.